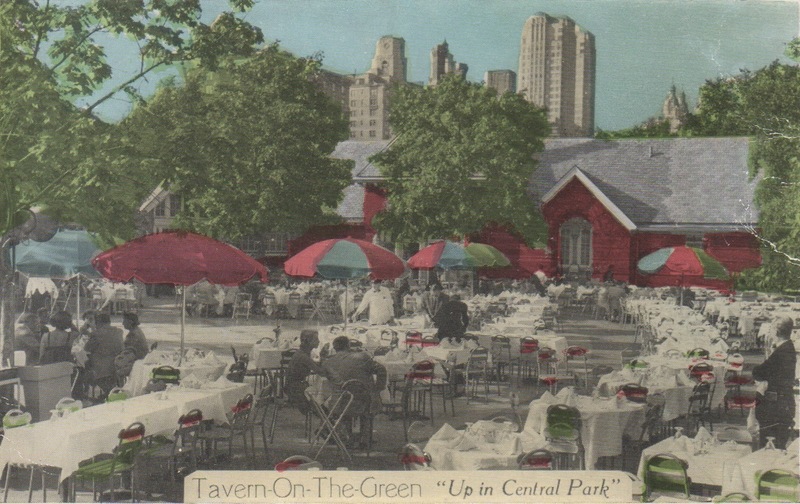 This entry was posted on April 21, 2017 at 6:55 am and is filed under Brooklyn, central park. You can follow any responses to this entry through the RSS 2.0 feed. You can leave a response, or trackback from your own site. 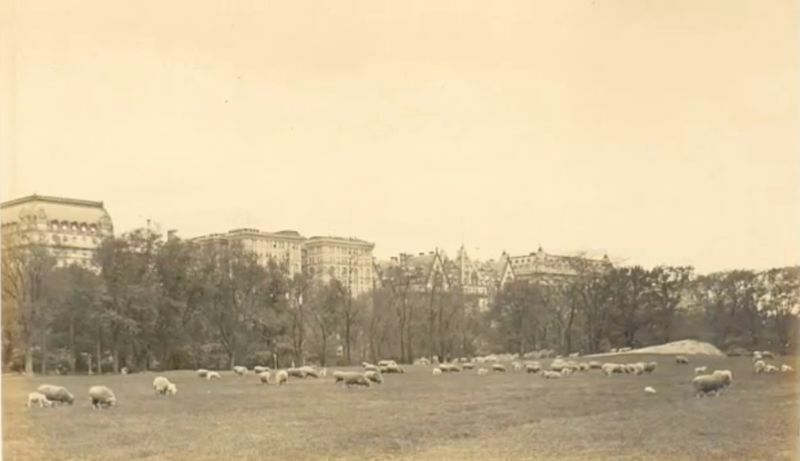 Seems like every historic generation hinks ‘sheep on the lawn’ would make a charming setting. 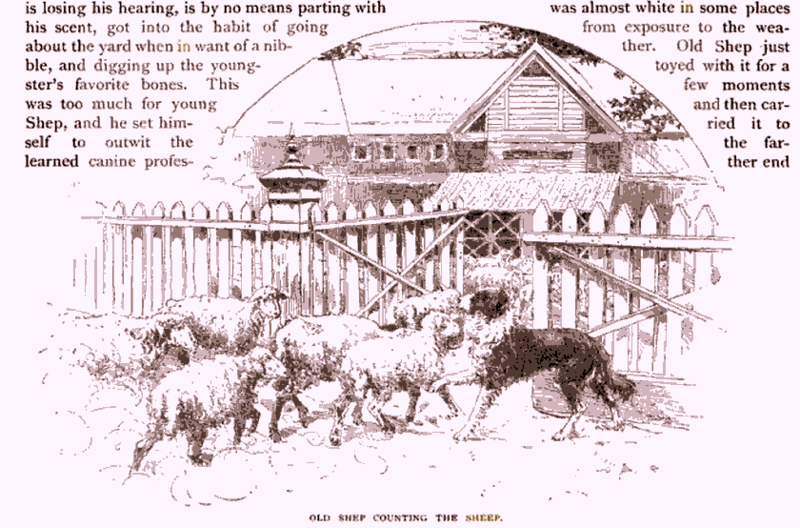 Marie Antoinette, costumed as a shepherdess, flounced around her fluffy flock. Marie had several failing ideas. 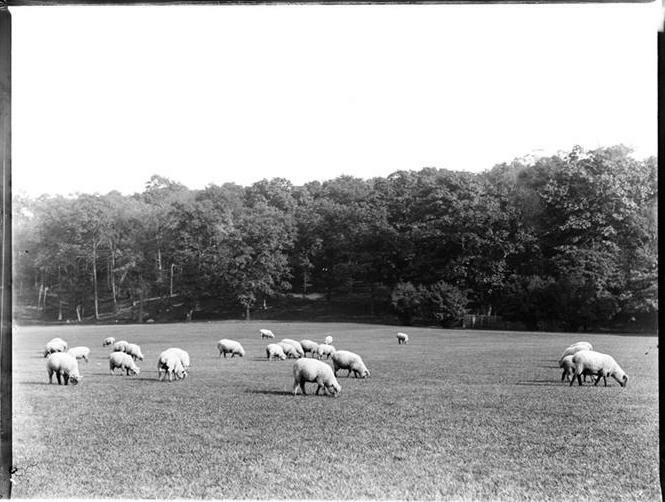 President Woodrow Wilson acquired sheep as 4-legged mowers for the White House lawn during 1918. 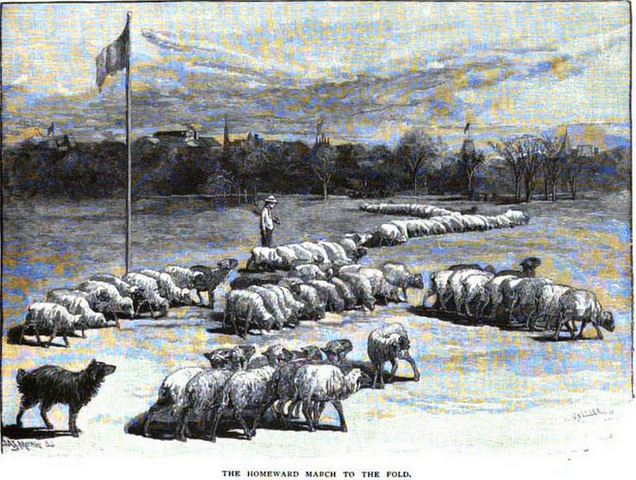 (Their wool was auctioned for the WWI Red Cross.) The critters caused all kinds of landscape mishaps – damaging small trees; destroying flower beds; becoming startled at the vehicle-traffic-noises ‘n running around the property; plus, they got sick. 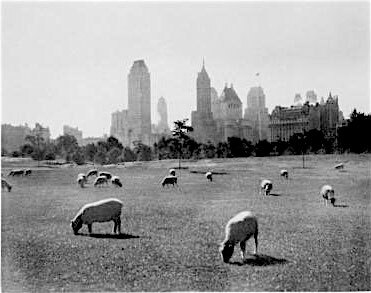 The wooly beasts were proven to be a BA-A-A-A-A-D-D-D-D idea; so even without Robert Moses on the scene, the President counted-out the sheep and slept well. Thanks Audrey. Sounds like Moses wasn’t sentimental about these woolly creatures … just as he wasn’t sentimental about New York’s old neighborhoods. There would be no Soho if he had his way back in the 1960s! You bought the ole “they’re now in the Catskills” line? I guess I did … uh oh. Some cemeteries out in California are now using goats to trim the grass. They also eat paper and other litter Washington DC’ Congressional Cemeteries aso use them and so does Chicago’s O Hare airport where in addition to grass mowing dutieds the keep geese away from the runways. The 1864 picture. Aren’t the buildings too tall for that time? 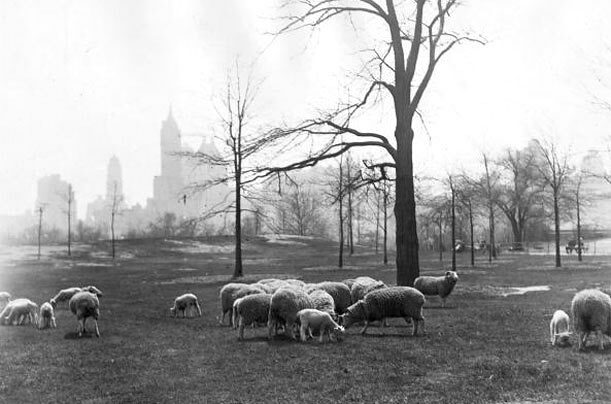 Are you sure that photo of sheep and NYC buildings was taken in 1864? Thank you. I guess the way that part was worded confused me.